Bourbon barrels do so many cool things. 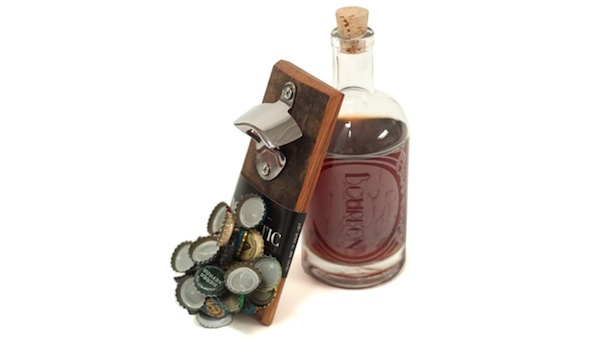 Thanks to their low, low price, not only are they aging bourbons and then scotch, but they’re also aging sriracha, smoking delicious meats, and now, magnetic bottle openers ($58). Look, you need a bottle opener mounted to your wall—no one’s disputing that—so it may as well be a cool one made from an old whisky barrel . . . and according to manufacturer Wood Thumb, from the blood of their enemies. You’ll probably get contact warlock powers just from using it.